Dublin is the fourth UNESCO city of literature and hosts the International Literature Festival, the Dublin Book Festival, and a range of less publicised but no less excellent events scattered throughout the calendar. The city’s cultural heritage is even reflected in its place names: James Joyce Street, Samuel Beckett Bridge, the Bernard Shaw Pub. But while much is made of past literary legends, most standard guidebooks don’t describe Dublin’s vibrant, modern-day literary scene, full of bookshops, gigs, classes and sessions as much a flavour of the city that made them as coddle and Guinness. In a quote that seems to have become irritatingly ubiquitous, Stephen King said that if you don’t have the time to read, then you don’t have the time or the tools to write. 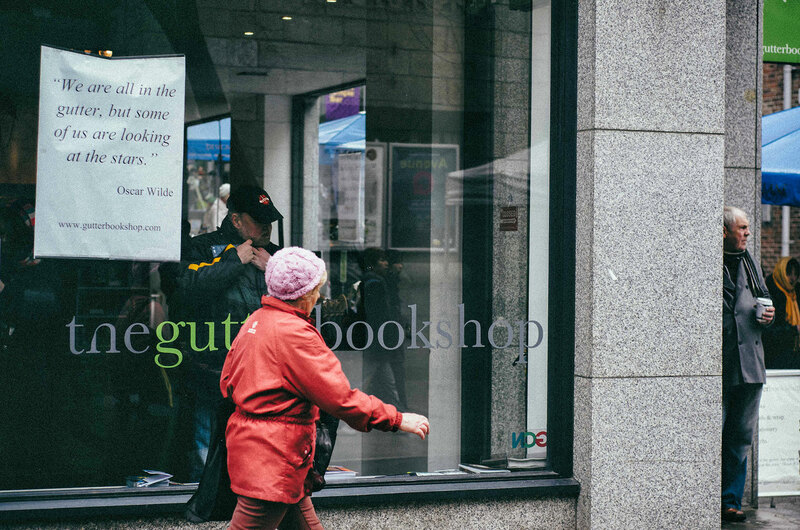 Whether you read to help you write, or want to read just for the love of it, Dublin has some unmissable bookshops. 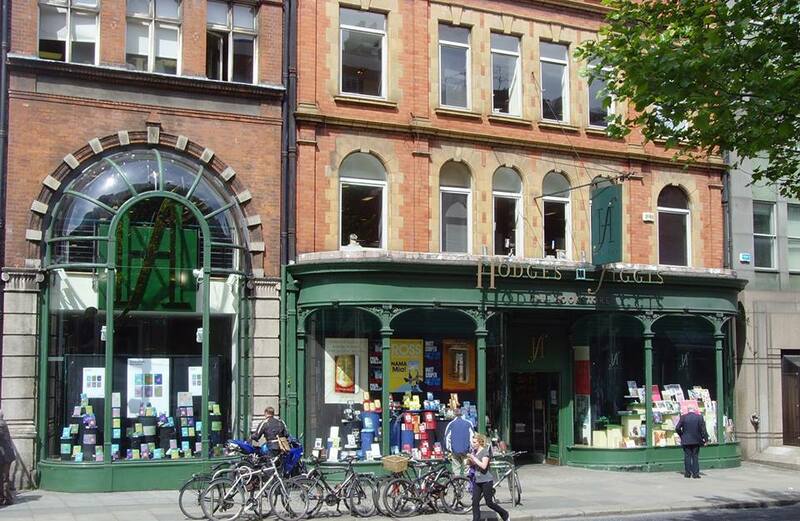 Still considered to be one of the greatest Dublin booksellers, Hodges Figgis was founded in 1768 and was mentioned in James Joyce’s Ulysses. It has an unusually knowledgeable and friendly staff, and several floors of books: the bargain basement is particularly recommended both for price and its eclectic selection. When you’re done browsing, both the National Archaeology Museum and the National Library of Ireland are less than five minutes’ walk away. The independent Books Upstairs stocks a fascinating collection, especially if you’re interested in the humanities, and intellectual, political and literary journals not as readily available elsewhere. They host events in the café upstairs, such as book launches and the ‘Flying South’ mental health themed spoken word night. The Gutter Bookshop in Temple Bar’s Old City has received and been shortlisted for several awards, and for good reason: you often discover new and interesting books here not available in larger chain stores, and the store hosts a wealth of book-related events, including launches, readings and bookclubs. They also stock personalised signed copies of books by Irish author John Connolly, and an enchanting range of children’s puppets. Named for a WB Yeats poem, The Winding Stair on Bachelors Walk has old world charm and a Bohemian feel, and stocks independent magazines and quirky DIY-made zines by self-published authors (they also have a restaurant). The Easons franchise may feel a bit standard-chain-store but their flagship O’Connell Street shop is a Dublin institution. “Under the clock at Easons” is a common meeting point for locals, and as you take the escalator back to the ground floor inside, take a look at the pictures on the wall to your right which display key moments in Irish history. If you’re in town at the right time of year, be sure to check out the Dublin Zine Fair. Top of my recommendations for any writer visiting or living in Dublin is the Dublin Writer’s Forum (DWF). 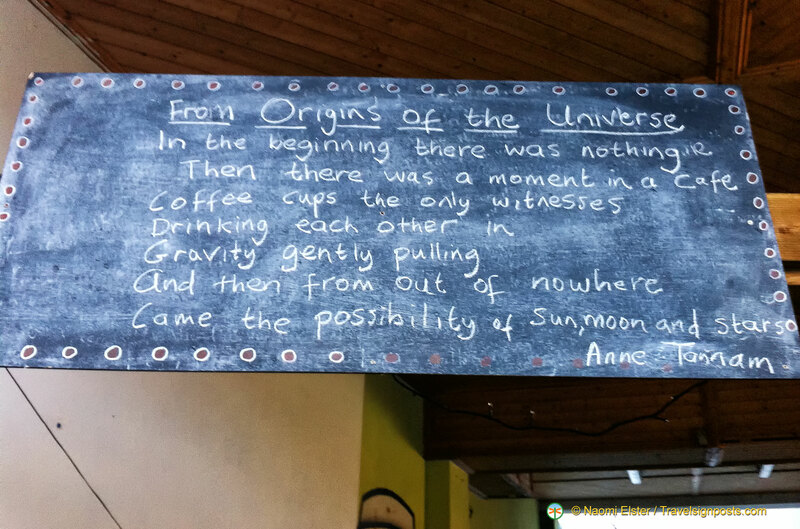 Run by talented Dublin poets Anne Tannam and Fiona Bolger, the group meets every Thursday and the concept is simple: everyone takes turn reading and passing around their work for respectful peer feedback. It’s free, open to all levels and every session is an interesting mix of newcomers, one-time drop-ins, and local regulars – I can personally testify that it’s an excellent place for honing your skills and building confidence as a writer, hearing interesting writing from others, and getting to meet and chat to interesting people. (Insider tip: you’ll feel welcome here no matter what, but if you want to be EXTRA welcome, bring a small contribution of something tasty to add to the pile of goodies consumed at the break). A rural Irish colloquialism for the capital is “The Big Smoke” and The Big Smoke Writing Factory runs a range of creative writing courses, including half-day specialist courses and seminars. Filmbase also runs courses, but these aren’t cheap and tend to be aimed at professionals already working in the industry. If a peaceful hour scribbling in your journal in a café is your thing, there’s good news and bad news. The good news is that there are some fantastic cafés around: so much so that it’s impossible to say, definitively, where you can get the best coffee in Dublin (although it’s very worthwhile research if somebody wants to take it on). Amongst the best are the comfy and cosy Accents, just off St Stephen’s Green park and shopping district, which has a bookcase you can borrow or exchange from if you fancy something to read along with any of their broad selection of teas and coffees, Roasted Brown at Project Art Centre where you’ll probably find yourself sipping cappuccino next to local film and theatre producers, and the glitzy, unapologetic and unforgettable Foam Café, with its heady décor, homemade cakes and sophisticated jazz playing in the background. The bad news is that cafés in Ireland tend to close early by European standards: most shut up shop by 6 pm. Accents and Foam open late (11 pm and 9 pm respectively). Ireland’s national theatre is The Abbey, which was founded decades before Ireland became independent and was a cornerstone of the ‘cultural nationalism’ movement. But if you want to see brand new, cutting-edge, independent work, and at a cheaper price than the city’s more grandiose playhouses, there are two venues you need to check out: The New Theatre and Theatre Upstairs. You can even catch them both in the same day, as Theatre Upstairs specialises in lunchtime showings (ticket price includes soup). The New Theatre shares its building with the socialist bookshop Connolly Books and stages a free, rehearsed reading of a brand new script on the first Saturday of every month. You can catch a diverse selection of films ranging from old classics to avant-garde Irish and international short films at both the Irish Film Institute and the Light House Cinema. 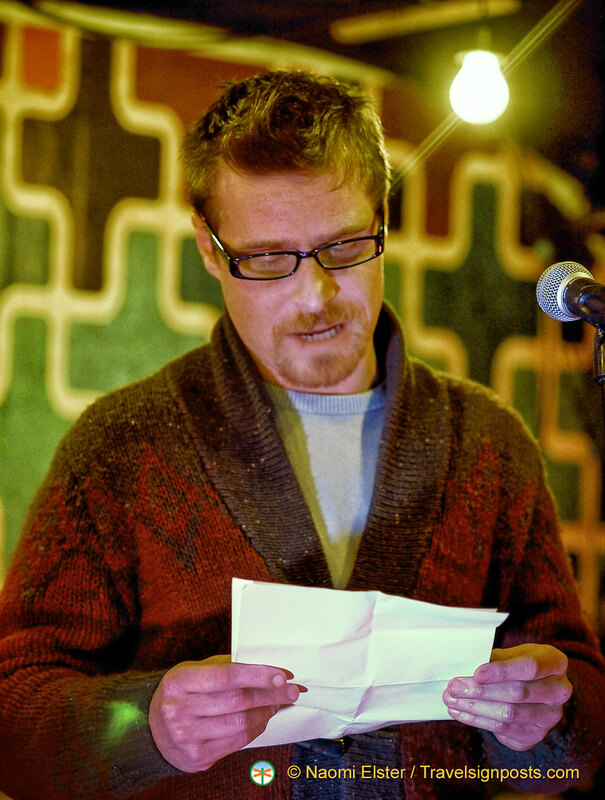 Brian O’Driscoll reads his poems “It’s the OCD, Not Me” and “Old Timers’ Disease” at an event in Dublin. Dublin has a host of open mic and performance nights, and in the last few years, live poetry slam competitions have started to crop up. These tend to be low-key, intimate events, and are usually free, making them a great way for a budget travellers to get a night’s entertainment whilst getting to know some of the local culture (and locals). The only thing about these nights – and the more ‘open’ the microphone is at an event the more this is true – is that quality is never guaranteed! Part of the fun of these things is the risk, the fact that you don’t know if you’re going to be glued to your seat and three years later be able to tell your friends you caught a big name act while they were still underground (likely to be literally true as open mic sessions are often held in basements). Or you could be bored to tears, which is ok as long as the performer attributes said tears to your being powerfully moved by their act. 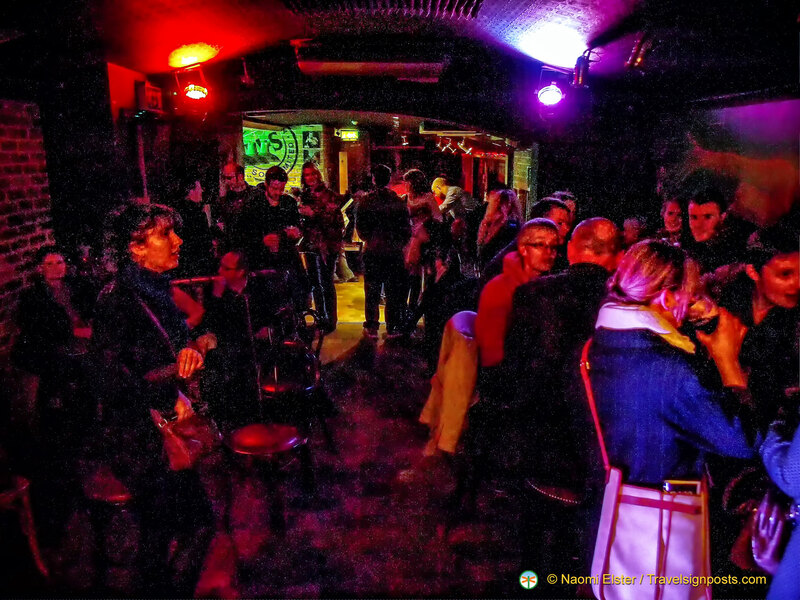 And anyone can put their name down for an open mic slot – you too, even if it’s the only evening you will ever spend in Dublin. Many of these gigs pop up irregularly and aren’t the easiest to find out about if you’re not ‘in the circle,’ but as most don’t charge, they’re usually listed in the Dublin Event Guide for Free Events (a brilliant resource). The International Bar hosts some regulars, like The Circle Sessions (every Monday). Don’t forget to check out some of Dublin’s landmarks – Trinity College, Christchurch Cathedral, the Ha’ penny Bridge. If you are going to visit with the intention of checking out the arts scene, try to stay central – public transport stops at around 11.30 every night, and taxis are plentiful but not cheap. Brooks Hotel is a member of the Small Luxury Hotels of the World. This central 4-star designer boutique hotel is just 5 minutes’ walk from Grafton Street, St Stephen’s Green and Trinity College. The Fitzwilliam Hotel is for those who want to enjoy a bit of 5-star luxury and fine dining. It’s Thornton’s Restaurant is a Michelin starred restaurant. Temple Bar area is just a 5-minute stroll away, as is Trinity College. The Westbury Hotel is another luxurious 5-star hotel on Dublin’s Grafton Street. Positioned between Trinity College and St Stephen’s Green, the Westbury is close to Dublin’s attractions such as Temple Bar, Dublin Castle and the Gaiety Theatre. Hodges Figgis: 56-58 Dawson Street, Dublin 2. (01) 677 4754. Normal hours of business Mon-Sat 9 am to 7 pm, Sunday 12 pm – 6 pm. Naomi Elster has a PhD in breast cancer from the Royal College of Surgeons in Ireland. Science, writing and travel are her passions, so unsurprisingly, much of her nonfiction writing is on science and travel. She also writes fiction, and has had two plays produced and some of the places to have published her work include Crannóg Magazine, The Guardian and MsLexia. Her website is "Nothing mentioned, Nothing Gained". Lovely piece about all the city has to offer for the literary and creative types! Thought you might like to know about us at the Irish Writers Centre: we’re the national resource centre for writers at all stages of their careers and have a range of workshops, events, projects and writing groups on offer throughout the year. I haven’t yet had the chance to attend any of your events, though I hope to change that in the near future. The IWC has a fantastic reputation and I’m sorry I didn’t have space to include every fantastic organisation on offer for creative people visiting or living in Dublin in this post – the list would be endless! Thank you for your comment letting readers know about the resources you offer; I hope others will follow suit.